If you are an Airbnb-style traveler, up for living like a Seoulite while in the city, new guidebook “A Curated Guide: Seoul” (Seoul Selection) may be the right choice. If you have a local friend who knows the latest trends, you may not need this book. But not every tourist visits Seoul with such connections. That‘s when the book comes in handy. The book’s two authors, Robert Koehler and Hahna Yoon, went beyond the traditional tourist destinations that typical Seoul guidebooks suggest and recommend locals’ favorite spots. The book is comprised of 10 sections: neighborhoods, historic architecture, arts & culture, dining, cafes and teashops, nightlife, nature, shopping, experiences and accommodations. The neighborhood section covers nine trendy neighborhoods in Seoul. The authors’ favorite picks are Euljiro, where the atmosphere shifts dramatically from day to night, and Seongsu-dong, known as the “Brooklyn of Seoul” with its hip industrial vibe. The dining section can satisfy the needs of different diners, introducing a wide variety of places, from famed Michelin-star restaurants to everyday eateries and even street stalls. The cafes and teashops section covers the latest cafe trends here. Just as the authors observe, Seoul is full of cafes. Here, a cafe is more than just a place to drink coffee; it is a place to meet people, share interests and discover flavors. For travelers looking for a local experience, it also mentions traditional tea houses, modernized for guests of all types. 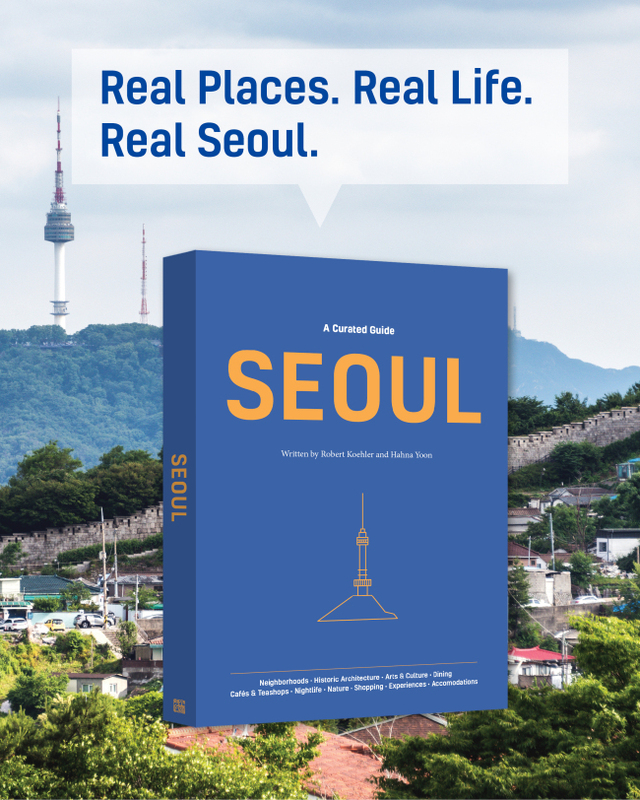 “A Curated Guide: Seoul” offers a fresh perspective on Seoul for travelers, expatriates, and anyone who is simply curious about the city. The 252-page book costs 18,000 won ($16).